Key difference: Snowboarding is performed by snowboarders on snow-capped slopes, by getting on their snowboards. Surfing is a water sport where the surfer rides his surf board over water waves. 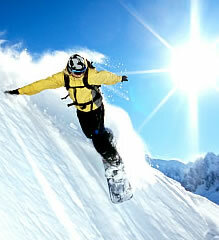 Snowboarding is the act of boarding one’s snowboard and riding it down a snow hill or a snow slope. This winter sport is an absolute pleasure to be participating in. Snowboarding provides, thrill, adventure and excitement galore. Moreover, it’s fairly easy to learn and execute. To snowboard, one requires a snowboard and a pair of good snowboarding shoes. Professional assistance is always advisable in a sport like snowboarding, because it entails the knowledge of body kinetics. From the safety and security perspective, snowboarding provides a congenial sporting environment. The fact that snowboarding is mostly performed on snow, safety guidelines and measures have to be followed to stay away from injuries. Besides, snowboarders have the provision of using non-release plate bindings to hold their heels and toes tightly to the snowboard. Coming to the technique of riding a snowboard, the applicable mechanism here is borrowed from sports such as skateboarding and surfing. The snowboard is brought in to motion by shifting one’s weight up and down the snowboard. Braking is made possible by digging one’s heels or toes into the snow, to cut down the speed of the board. In surfing, the athlete, referred to as the surfer, stands or lays on a surfboard atop the ocean waves, so that they carry him/her all the way to the ocean shore. Another way of understanding surfing is that surfing involves riding the crests formed by big ocean waves. Surfing isn’t only a sport, but a recreational activity as well. Its inception dates back to a minimum of 500 years, when the Polynesians, i.e. the natives of regions between Madagascar and Central pacific, began enjoying it as a pastime and carried this sport with them on all their expeditions. 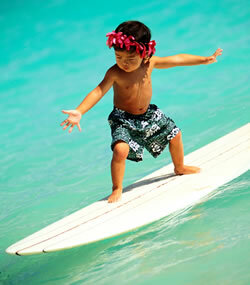 Many missionaries and European explorers were introduced to surfing, courtesy of the Polynesians. Soon enough the sport spread like wild fire throughout the world, and surfing took the shape that it is in today. It’s a popular myth that surfing can be executed at ocean shores only. Interestingly, surfing can be done on waves originating in rivers, lakes, or other water bodies. Moreover, surfing can be enjoyed in artificial wave pools as well. Surfing has been credited for spawning other board sports such as snowboarding and skateboarding. These sports borrow their riding technique of shifting weight up and down the board, from surfing itself. Snowboarding is performed by snowboarders on snow-capped slopes, by getting on their snowboards. Surfing is a water sport where the surfer rides his surf board over water waves. Surfing is done on oceans, other water bodies. Snowboarding came into existence after surfing. Surfing is the ancestor of snowboarding. Snowboarding is performed on a snowboard. Surfing is performed on a surfboard. Snowboarders often use non-release plate bindings to sustain themselves through the act. Surfing is mostly done barefoot and without any bindings. Snowboarding enjoys a little less following as compared to surfing. Surfing is reasonably more popular than snowboarding.